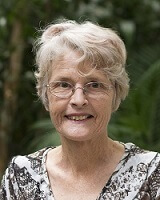 Robyn M. Gillies PhD is a Professor of Education at The University of Queensland. Her research focuses on the social and cognitive aspects of learning through social interaction. She has been a chief investigator on 11 Australian Research Council grants that have focused on inquiry learning in science and mathematics, teacher and peer-mediated learning, student-centred learning, and classroom discourses and processes related to learning outcomes. These projects have been implemented in primary and secondary schools in science, mathematics, English, and social studies content areas. In 2006 she was the recipient of an Outstanding Contribution Award from the American Educational Research Association and in 2010 she received an Achievement Award for Outstanding Contributions to Research from the International Association for the Study of Cooperation in Education, USA. To date she has published five books (two single authored) and over 100 journal articles and book chapters. She is regularly invited to present keynote addresses, workshops, and participate in symposia to disseminate the outcomes of her research.